I'm sure there are many out there who watch game shows or talent shows and think to themselves that if they were on it, they would have won the million pounds or the overall competition. So why not give it a try and see if this is true! Here are a few ways on how to apply for TV shows in the UK. It is not too difficult figuring out how to apply for TV shows with most of the applications being pretty straight forward. Most TV shows require the applicant to be 18 or over and a UK Resident. Game show applications, such asPointless game show, usually ask about your education background, if you have an speciality subjects, and what your 3 strongest and weakest subjects are. 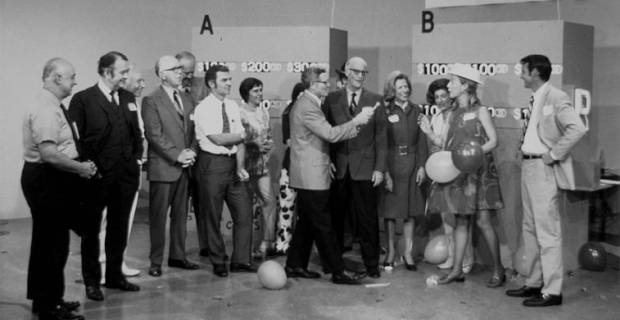 The Edge is another game show but it incorporates elements of bowling and curling. They have a few random questions on their application such as, "How would you describe yourself?" and "How would your friends describe you?" Game show applications do not usually have a closing date, so you can apply whenever suits you. Another popular type of TV show that many are interested in applying for are dating shows, such as Take Me Out. For this application, you would need to submit a photo of yourself, fill out basic information about yourself, and answer a few random questions such as, "Do you have an unusual or irritating habits?" and "Do you have any special talents? (Funny or serious)". You will need to see when the next application deadlines are as well as go in for an audition. Even if you are not in it to win it, applying and auditioning could be an interesting process to go through. This can be a healthy and fun way to get out of your comfort zone and push yourself a bit harder. Hopefully these tips on how to apply for tv shows will give you the boost you need. Good luck!